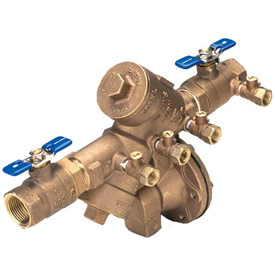 A backflow device prevents water from the sprinkler system from entering back into the household pluming. A properly functioning backflow ensures contaminants from the sprinkler system do not enter your drinking water. Beginning March 2010, the Portland Water District will discontinue inspection services for privately owned backflow devices. However, customers are still required to have backflow prevention devices inspected annually by a person certified by the New England Water Works Association or American Backflow Prevention Association. 1. The Portland Water District will send you a letter prior to your inspection due date. 3. A Backflow Device Test Results Form must be completed within 10 business days of the inspection. A customer may also contact our customer service center and request a form be sent to them if they do not have access to the internet. Failure to provide this information may result in disconnection of the water service to your premises. preformed during scheduled Spring Turn-On. Normal ratefor Backflow Testingis $90.